Fun fact- it’s not training season for me just yet! 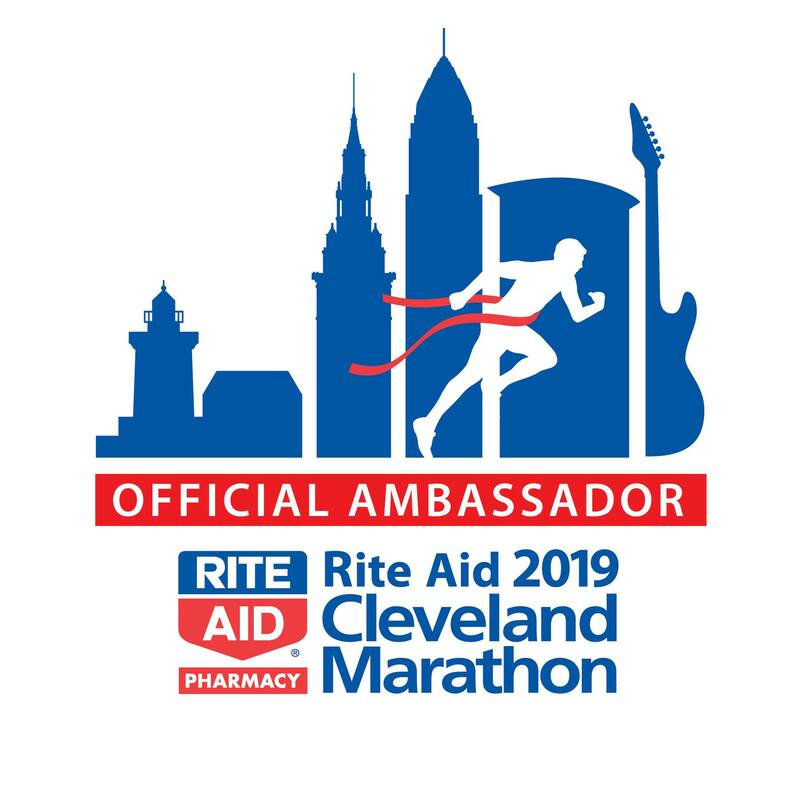 I’m once again an ambassador for the Cleveland Marathon, and this year I’m running the Cleveland half marathon. Lately, my focus on running these past few months since having a baby has been to get back some base mileage and slowly start to build up to 5-6 miles at a time for a long run. Not a lot, I know, but since my official 12 week program won’t start for another month, soI have a few weeks to relax, take training easy, and just enjoy running (or try to when it’s not negative degrees and icy!). I’ll be sharing my training plan soon, but in the meantime, I wanted to reminisce. This time last year, I was a few months pregnant and “training” for the Cleveland 5k and 10k. As the months went on and race day got closer and closer, it got harder and harder to run. While I’m glad it’s easier right now, I can’t help but forget the joys of running while pregnant. So here you go. I share this with you – for all the pregnant runners out there – as well as those who aren’t – now you know what it’s like. And why I kept it up! Imagine this – you just ate a HUGE burrito and drank a jug of soda. Your bladder is full, you’re slightly winded and your feet are swollen. And now, you decide you want to go for a run. Sound like fun? 1. First, talk to your doctor. See what he/she says is okay for you. I am not a doctor and I don’t pretend to be one. 2. Expect it to feel different. Even in the first trimester when you may not look different, your lungs are doing double duty and you may get out of breath easier or find your heart rate higher. And then as your body changes, your gait may, too. I found parts of my body hurt that had never been sore before. Listen to your body and do what you can do. 3. Don’t compare yourself. This is an important one. Don’t compare yourself to others or even to yourself. Both my pregnancies were very different, and I would sometimes find myself getting down because I was slower during the second pregnancy. Or, I’d be discouraged because I felt like my running was more hobbling/walking than sprinting. But remember – running while pregnant is HARD! Remind yourself of how amazing you are and all the benefits (above). Don’t expect to set any PRs. In fact, if you must wear your running watch, reset all the data. This will help you feel less discouraged and focus more on the enjoyment of being out there. 4. Be prepared to spend money on some new gear. Your feet may grow during pregnancy, leading you to need new shoes. Your running clothes? They maaaay not fit you when you’re 7 months in. I also highly recommend a support belt – this helped tremendously as I got larger. 5. Go early in the day. I’m lucky that I’m a morning worker-outer as it is, but during pregnancy, this was even more important. A morning run helped not only reduce my swelling later in the day, but I felt much less full (and not like I was running with a belly full of burrito) and it was easier to move my body. Immediately going for a run also helped with my morning sickness. 6. Stay hydrated. It’s much easier to overheat, get dehydrated, etc. during pregnancy. So if you’re going to be running or doing any exercise, make sure to keep up on the water. Bonus: Have fun! Don’t forget why you’re doing it in the first place and enjoy your time running. Take photos so that you can show your future children the amazing feats you accomplished with them. Are you training for the Cleveland Marathon, Half Marathon or any of the other events right now? If so, don’t forget to use my 10% discount code – MC2019! NOTE: A version of this blog post first appeared from me on Northeast Ohio Parent Magazine’s website. Check it out, and check out all my posts with them. She’d run a marathon WHILE pregnant?! Wow! What a rockstar!